The Law Offices of Michael H. Ricca P.C. offers the best traffic ticket and criminal defense possible. However, the fight starts with you. We understand that choosing the right lawyer is extremely important to any defense strategy. In order to help you determine whether Mr. Ricca is the right attorney for you, our firm offers free telephone consultations. Regardless of the charges against you, taking the time to evaluate a potential attorney, as well as the options available to you, is essential. DO NOT PLEAD GUILTY TO A NEW YORK STATE TRAFFIC TICKET! Simply paying your fine is the same as pleading guilty to a traffic violation. Given New York State’s staunch, and often unforgiving, stance on Vehicle and Traffic Law (VTL) violations – a guilty verdict is not ideal. Fighting traffic tickets is your best way to avoid accumulating points on your license, as well as the potential for fines, jail time, and a license suspension or revocation. If you are unfamiliar with New York State’s point system, you may not realize why it is important to fight your traffic ticket. To help law enforcement and other organizations better recognize high-risk drivers, the Department of Motor Vehicles (DMV) established the New York point system. Based on the VTL, this system assigns points to specific violations of the law. For example, if law enforcement tickets you for driving 1 to 10 MPH over the posted speed limit, a conviction will mean you have gained 3 points against your license, as well as a $150 fine. This may not sound like a lot, however, you may learn that these points stack up quickly. In New York, if you accumulate 6 points on your driver’s license in an 18-month period, you will automatically be subjected to a Driver Responsibility Assessment fee. This fee will cost you $100 annually for the next 3 years. If you have more than 6 points, an additional $25 per point will be added to this fee each year.  If you are ticketed during your 3 year Driver Responsibility Assessment fee, these additional points will be factored into the amount you will be required to pay New York State. Failure to pay your Driver Responsibility Assessment fee each year will result in the automatic suspension of your license until your payment is made. If you accumulate 11 points in an 18-month period, the DMV will suspend your license. Whether they issue a definite or indefinite suspension, you will be required to pay a suspension termination fee in order to hold a valid driver’s license once all other requirements have been satisfied. This is in addition to paying your Driver Responsibility Assessment fee. A New York traffic violation is also likely to increase your insurance premiums. Continued high-risk behavior can also result in the cancellation of your insurance as the company may deem you to be too much of a liability. Fighting Your Speeding Tickets Is as Easy as 1-2-3! When you receive a traffic ticket, points and other consequences are not yet accumulated. That only occurs if you are convicted of the traffic violation itself. That means, you can fight the conviction and avoid accumulating these points and fees. With The Law Offices of Michael H. Ricca P.C., we make fighting your traffic ticket as easy as 1-2-3! For most traffic offenses, you will likely not even need to attend court. The Law Offices of Michael H. Ricca P.C. will notify you of the outcome, saving you time, as well as money, stress, and more. It really is as simple as 1-2-3! When you receive a traffic ticket in New York, you have 15 days to submit your response to the court. You can choose to pay the fine and plead guilty. However, you can also choose to fight! Whichever you decide to do, you must indicate this decision on your ticket and return it via the instructions printed on your citation. Failure to do so will result in the suspension of your license. You will need to submit the ticket or payment and pay the termination fee in order to revalidate your license should this occur! Time is extremely valuable when it comes to responding to your ticket and avoiding an automatic license suspension. Contact The Law Offices of Michael H. Ricca P.C. today for your free consultation. DO NOT FIGHT CRIMINAL CHARGES WITHOUT LEGAL COUNSEL! Criminal charges are extremely serious, whether they are misdemeanors or not. Being convicted of criminal charges, which can include driving while under the influence (DWI), assault, theft, drug possession, and worse, will result in a criminal record. Depending on the crime you are accused of committing, the potential consequences of your charges can be devastating. Misdemeanors may result in fines, license suspensions, probation, community service, jail time or a combination of consequences. Felony charges can lead to much more serious ramifications. This can include increased fines, license revocations, prison sentences and more. Repeatedly committing misdemeanors can lead to felony charges as well, which is why you need to fight even the smallest of charges! Criminal records themselves can lead to increased hardships even after you pay your fines and do your time. The emotional, physical, and mental consequences of the burdens created by a conviction can be crippling. Jobs that require background checks will likely refuse to hire you. Even if you currently hold a job, being convicted of a crime is likely to result in your termination with your company. This can financially devastate a family and lead to a vicious, desperate cycle. If you lose your driver’s license as a result of your conviction, it can make getting around much harder. This can limit potential job opportunities, your freedom to travel, and even your ability to schedule medical appointments or do simple tasks such as go to the grocery store. These little nuances may seem insignificant if you are looking at prison time, however, they can make your post-incarceration life much more difficult. When you hire The Law Offices of Michael H. Ricca P.C. to help you fight your criminal charges, you are never alone. We understand how overwhelming and terrifying criminal cases can be. As a firm that is experienced in fighting criminal charges, every step is one we will take together. Depending on the circumstances of the case, your desires, and the reality of the situation – we can help you fight your charges in the way that is most beneficial to you. In some cases, it may be best to negotiate a plea deal. If this is true for you, we can help you to get the most out of the negotiations. If your case will go to trial, we are able to help guide you throughout the entire process, including preparing you for trial, evaluating potential witnesses, and more. It is important to remember that prior results do not guarantee a similar outcome. Every case is unique. From the circumstances to the individual players in the courtroom, every case has its own set of parameters that must be addressed. The Law Offices of Michael H. Ricca P.C. cannot guarantee any specific result. However, we can help to advise you of the most likely scenarios and outcomes. 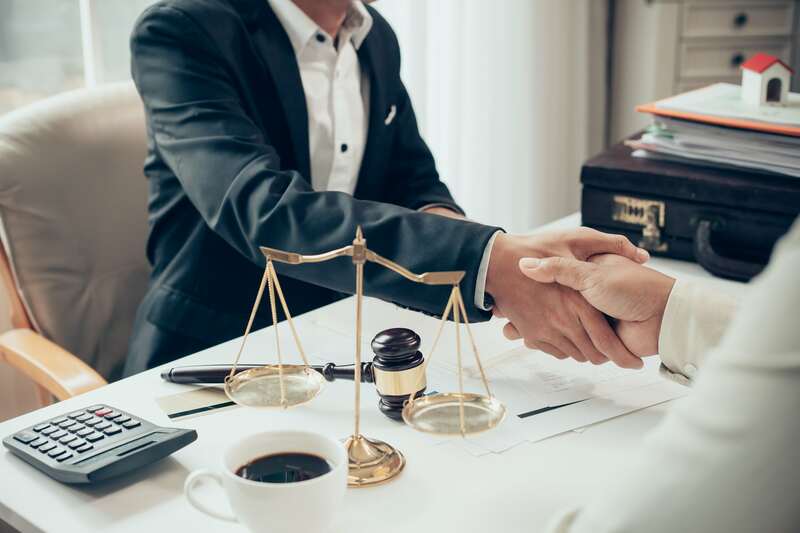 Because of our experience with legal interpretations, negotiations, and courtroom tactics, we will work with you to devise the best strategy for your case. A legal defense should not promise the impossible. This can lead to false expectations, devastating outcomes, and gut-wrenching verdicts. Mr. Ricca will not make you false promises. He will openly discuss the most realistic options available to you based on your individual circumstances. Not all lawyers provide the same caliber of support and representation. Michael H. Ricca is one of the best traffic and criminal defense attorneys in New York and Long Island. As your local Nassau County lawyer, he understands how important it is to help the members of his community. Michael H. Ricca opened his practice in 2013. Since then, he has represented clients at the state, federal, and appellate court levels. Primarily focused on traffic and criminal defense, Mr. Ricca offers clients a personal approach to their cases. Unlike overburdened public defenders and defense attorneys simply looking to make a buck, Mr. Ricca only takes the cases his workload will permit to ensure each one receives the proper care and attention it deserves. Mr. Ricca’s record speaks for itself. However, his accomplishments go beyond his success records. In April 2015, Mr. Ricca was named the Young Lawyer of the Month by the Nassau County Bar Association. In 2016, 2017, and 2018, he was also named to the Super Lawyers Rising Star List, an exclusive honor only afforded to 2.5 percent of all state lawyers. In 2017, the National Academy of Criminal Defense Attorneys ranked him as one of the Top 10 under 40 Attorneys in the nation. Michael H. Ricca is a contributing, and active, member of the Nassau County Bar Association (NCBA). He is, in fact, a member of the New Lawyers Committee, a special group of individuals within the NCBA.  In addition to this, he holds memberships to: The Federal Bar Council, New York State Bar Association, The National Association of Criminal Defense Attorneys, The New York Association of Criminal Defense Lawyers, and The New York State Defenders Association. After confirming that Mr. Ricca has the necessary skills, knowledge, training, tools, resources, and strategies needed to win DWI cases, the American Association of Premier DUI Attorneys named him as an executive member. If you are ready to fight your traffic tickets or criminal charges, The Law Offices of Michael H. Ricca P.C. is standing by. The best means of protecting your right to due process starts today. With the experience, knowledge, and court finesse of a truly seasoned lawyer, Michael H. Ricca is the best Nassau County lawyer for you. From accolades to actual court successes, he is able to give your case the individual care and attention it deserves. Contact The Law Offices of Michael H. Ricca P.C. today for a free telephone consultation regarding your traffic, DWI or criminal charges!